VOICES: The studio of Radio Sagarmatha is housed in a pre-fab shed after the studio was damaged in the 2015 earthquake . When South Asia’s first community radio went on air in Kathmandu in May 1997, Nepalis were electing representatives to VDCs, DDCs and municipalities in the midst of a war that had just started. Democracy, development and the free press were under threat. It had taken four years of relentless lobbying to get Radio Sagarmatha broadcasting on 102.4FM, the first ever challenger to the state monopoly of the airwaves. This month, as the station marks its 20th anniversary, Nepalis are once again electing representatives to self-governing local structures under the new Constitution. Radio Sagarmatha soon gained popularity for its fresh new sound and trustworthy bulletins, as the war spread quickly across the country. The royal government used the conflict as an excuse to cancel scheduled local elections in 2002, and three years later staged a military coup when it gagged Sagarmatha and other new FM stations that had sprung up. Throughout it all, Radio Sagarmatha kept broadcasting, circumventing government restrictions on news by camouflaging current affairs bulletins between songs. Successive governments have since realised that the Nepali people believe strongly in an open society, and are willing to defend democracy by protecting their right to information. In the absence of locally-elected representatives in the past two decades, it was community radio that helped keep democracy alive, which would have been difficult had the floodgates for radio not been opened by Sagarmatha. 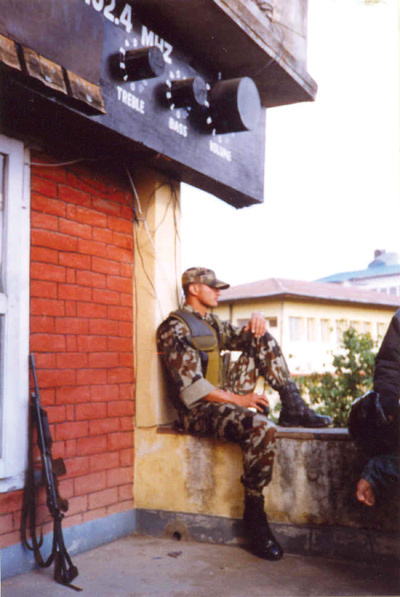 A soldier guards Radio Sagarmatha in 2005 after the royal-military coup silenced FM radio stations. “Radio Sagarmatha sparked Nepal’s radio revolution, it was a landmark not just for Nepal but the whole region,” recalls Bharat Dutta Koirala, who was presented with the 2002 Magsaysay Award for his tireless lobbying to get the radio its license. Koirala, now 75, is still active in promoting public broadcasting. After the National Communications Policy 1992 paved the way for public broadcasting, Koirala led a team of freedom of information activists to register South Asia’s first community radio. A year later, Parliament passed a bill to allow community ownership of radio, but the information bureaucracy was reluctant to let go of the state monopoly on broadcasting. Despite more intense lobbying, the license had to wait for Jhalanath Khanal of the UML to become Information Minister in 1997. Sagarmatha’s parent organisation, the Nepal Forum of Environmental Journalists (NEFEJ), got the permit, but with a proviso that it could not broadcast news. The station still calls its current affairs bulletins Hal Chal instead of Samachar to sidestep that rule. 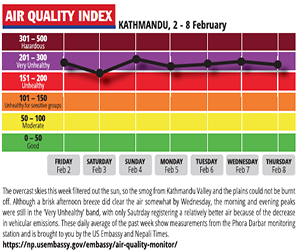 Two decades later, there are nearly 400 FM stations all over Nepal, 290 of them community-owned, and 40 commercial stations crowding the frequency spectrum inside the Kathmandu Valley alone. Throughout it all, Radio Sagarmatha carved out a niche, and still has a loyal following for its fiercely independent, non-commercial content adhering to its original motto: ‘Nepali Radio, Nepali Awaz’. It has a strong emphasis on social reform and the environment. “What makes us stand out from the crowd is our credible content and the emphasis on simple colloquial Nepali," says Station Manager Laxman Upreti. Sagarmatha does not play Hindi songs, and has been instrumental in popularising Nepali folk duets. 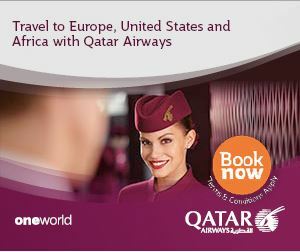 It has a strict limit on the ratio and content of commercials. “It was not easy: folk songs were difficult to find those days. We had to painstakingly build our own archive, and bought old folk songs. But our hard work paid off and we made Nepali folk our staple,” recalls journalist Durga Karki, who has been with Radio Sagarmatha since its early days and was even detained with four other colleagues in 2005, after King Gyanendra’s military coup. Station Manager Laxman Upreti says Radio Sagarmatha will continue upholding the values of public service broadcasting. The five were accused of re-broadcasting an interview from BBC Nepali with ‘terrorist’ leader Prachanda. 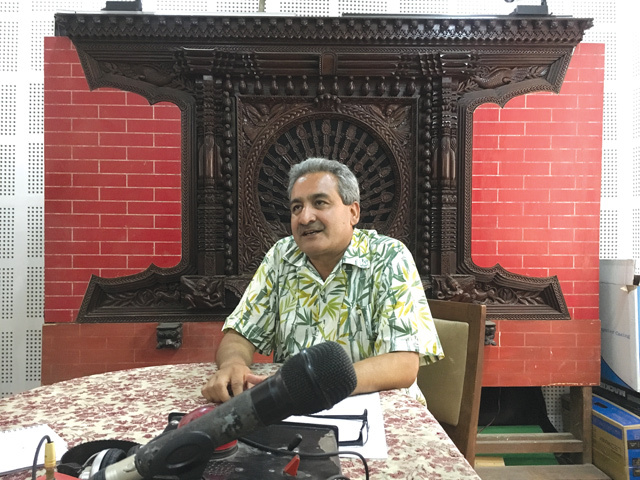 That ‘terrorist’ is now Prime Minister Pushpa Kamal Dahal, and the BBC interviewer, Rabindra Mishra, has launched his own Sajha Party, whose candidate for mayor of Kathmandu currently leads the Maoist candidate, as election results trickle in. After the 2005 coup, the military, under direction from the palace, tried to gag the media. It sent soldiers into newsrooms to censor content, ordered FM stations to only broadcast music, and jailed and tortured radio journalists in the districts. Radio Sagarmatha was relatively protected because of its reputation as an impartial community broadcaster, but the Prachanda interview was the excuse the military needed to shut it down. Closing Sagarmatha cost the regime dearly: radio broadcasters staged demonstrations, the international community and press freedom groups issued strong protests, and the Supreme Court finally ordered the regime to allow the station back on air. Radio Sagarmatha has borne witness to all tumultuous events of recent Nepali history: the brutal conflict, the royal massacre, political upheavals, the earthquake. Since its studio was damaged in the earthquake, it is broadcasting out of a pre-fab shed in Lalitpur. Some of its original programs, like Aajko Kura, are going strong, Bhairab Risal’s popular Uhile Bajeko Palama is done by a younger radio host, and its afternoon program, Khula Manch, has immediacy and appeal. 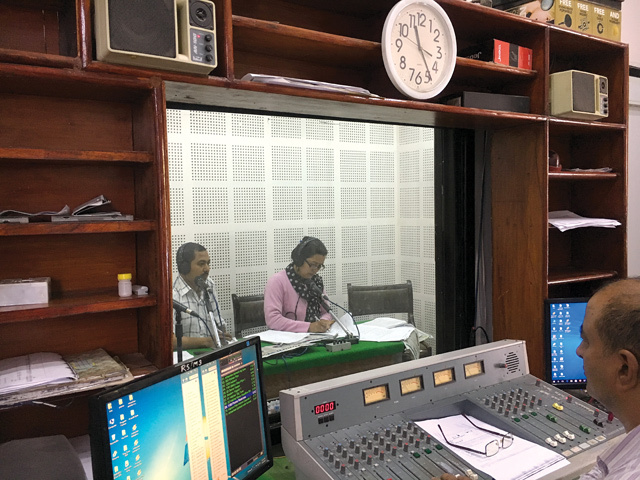 More than 100 radio journalists trained at Radio Sagarmatha are now established names in broadcasting, working at BBC Nepali, Kantipur FM and other stations. On 18 May a station alumnus, Jitendra Raut, was named head of BBC Nepali. The community radio pioneer is looking ahead to the next 20 years to defend democracy and press freedom and to be a voice of the Nepali people. Everyone has a pet memory from their early careers, and for me that is the time I started work as a reporter at Radio Sagarmatha. I was just 18. It was an exhilarating time, and we all knew we were making history just by being associated with South Asia’s first community radio station. There was an immense sense of self-fulfillment that came with having a job that fit perfectly with my idealism. I was fresh into journalism and new to radio. But we had mentors who did not just teach us the craft of radio journalism, but also inspired us with their commitment and passion to this pioneering project. I used to be shy and hesitant at first to approach people on the busy streets of Kathmandu with those big old-fashioned recorders and microphones for my vox pop interviews. I was assigned to the brick factory in Bhaktapur, the marble quarry in Godavari, every corner of the Valley searching for hidden stories and sound bites. I have interviewed hundreds of eminent Nepalis for our profile segment in the flagship Hamro Khaldo program, which became immensely popular. We used to work 18 hours a day, but never got tired, even when we survived on dried noodles. Sometimes we would not be paid, but that did not matter because I was learning more at Sagarmatha than at any university. It was when people I didn’t know started recognising me by my voice that I was sure about my journalism having an impact, and that encouraged me even more. It was difficult in the beginning, but our audience soon realised that we were different from other commercial FMs because we spoke about local community issues. My most enjoyable program was hosting comedian and philosopher Chatyang Master in the morning show. Once, he didn’t realise my microphone was live and started blurting out that he had nothing to talk about. I had to control myself from bursting out laughing. Somehow we survived. Those were the days when my station and I were both young, and bit crazy. I now live in London and try to visit Radio Sagarmatha every time I am back home. I was interviewed in my last visit by my own beloved radio station. Happy 20th Birthday, 102.4! Bhutanese refugees have lost everything. All they have is that distant possibility of return. True to their names, Asha and Sharan represent a marriage of hope and refuge. There are Nepalis who campaign for change at considerable personal cost and show real leadership potential. So why do they make so little impact? Next month, it will be 25 years since the Indian annexation of Sikkim. Sudheer Sharma looks back at how a Himalayan kingdom lost its sovereignty.